Before I get going with my content here, I want to quickly provide you with this Instagram Powertool BONUS (see blue button below). I would also recommend following popular Instagram accounts that are similar in content to your own. Now I know that you know that makes sense, but I'm sure you're also wondering how to find those popular accounts. Well click on the blue link below to read about how you get insider information to laser target what you're looking for on Instagram. Learning how to find people on Instagram or even learning how to get more followers on Instagram freely isn’t a secret I assure you. There are good methods, well known methods.. typically your more manual methods with a little app assistance, pay for follower websites, hacks and other software designed to get the job done whether you want to do it legitimately or whether you want to risk your account through ill advised means. From purely an "informational" standpoint, lets just say that I’m just being completely transparent about this as there are always methods to game the system and grow unnaturally on any social network. Nevertheless, I'll be advising you on safe and more manual methods because that's the route that I choose personally for my own account, but I'll also mention what I wouldn't advise as well while we're on the subject and on this post. With that said, let’s not place a dark cloud on Instagram. It’s a great place for bloggers, business owners and people in general. We all enjoy photography even if we don’t know anything about taking a good photo ourselves. With that said, I will concede that it hasn’t always been that transparent when it comes to finding new people to follow beyond the suggestions that they make and the search function. Either of which didn’t always provide you with results that were relevant to what you may be focusing your account on. However, it can’t be dismissed that the reason for this may stem from the reality that where it once was in terms of it’s userbase is quite different from where it is now in terms of it’s rapid growth as depicted below in the graph when compared to the growth of Twitter. Instapic (download can be found here: instapic-windows-8.en.softonic.com/download). You will have to click on "free download". You'll then be directed to the Instapic information page. The Windows 8 store should open automatically where it will take you to the Instapic app. The internal function for Instagram is pretty straightforward. If you’re using the application, you can simply navigate to the search function (it looks like a magnifying glass) at the bottom of the app. Once you tap that, the application takes you to another window where it gives you three options. Those options are to search by typing in a query (e.g. someone’s name, a hashtag (ex. #photo) or search by the people suggestions tab) that is also located in that window. #tbt, #Follow, #Cute, #Photooftheday, #Followme, #Tagsforlikes, #Summer, #Fun, #Friends, #Instadaily, #Likelike, #Fashion, #Food, #Swag, #All_shots, #Instago, #Instacool, #Instafollow, #Cool, #Funny, #Eyes, #Followback, #Nice, #Fitness, #Blue, #Day, #Iphonesia, #Black, #Christmas, #Makeup, #Dog, #Photo, #Onedirection, #New, #Model, #Instaphoto, #Goodmorning, #S4s, #In, #You, #Picstitch, #Perfect, #Likeback, #louistomilnson, #Yum, #Sister, #Nike, #Blessed, #With, #Breakfast, #Snow, #Truth, #Friday, #Adorable, #Bff, #Gym, #Haha, #fit, #Out, #Wedding, #Face, #Quote, #Cake, #Delicious, #Nyc, #Puppy, #Fresh, #Saturday, #Blonde, #Outfit, #Japan, #Friendship, #On, #Louis, #View, #Gay, #This, #Rain, #Car, #Sad, #Followers, #Chill, #Cold, #Miami, #sunshine, #weekend. With hundreds of millions of blogs that are in the blogosphere today, as you can see from these popular hashtags there’s truly something for everyone where your content and interests can fit into the following(s) that you’re trying to build or just in aims of finding people that share the same interests that you do. The next method is using web.stagram.com. Here what you’ll find is a web based portal that you have to authorize in order to be able to access your Instagram account. Once you’ve done that you’ll be able to see the activity on your feed and what others have been posting that are associated with you. One of the options in the panel once you’re logged in is to be able to search. This can be done with a keyword, a hashtag or with someone’s name. The easiest way to make use of this function is to just search by a keyword or a hashtag. Entering any hashtag will yield a number of results on the right hand side of the page. You will see a thumbnail image of the person for that profile and in most cases a title that describes what they are most likely interested in. From there, just click on who you want to see and you can follow them from there. So in my case, since I’m focused on blogging, I would enter a hashtag such as #blog and that yields over 4 million results and I would peruse the listings from there. The very next and last method that I will mention is called Instapic. You should be a Windows 8 user to get this from their app store. It’s a free application and once you have downloaded this, otherwise known as a “client app for Instagram”, just sign in with your Instagram account. Once you’re logged in, you get the same options as you would get with the app on your phone. On the left side of the screen in the navigation pane, you’ll see a magnifying glass that will allow you to search. Click on that and then click on the smaller magnifying glass in the upper right hand corner of the window. I know that does seem a little quirky and unnecessary to me to have to click two things before you can actually perform the search, but that’s the only way it can be done in Instapic. Once you’ve done that you can search by keyword, hashtag or by name. What I like about this application is that it gives you the ability to follow them right away without having to navigate to that individuals profile page. I haven’t had any problems with this application and it is by all accounts very legitimate, updated and supported by Instagram. Amidst the host of applications that are third party to Instagram, this is one I trust in particular hence my reason for mentioning in this post. Now that I have provided you with options that will grow your Instagram, albeit, not the fastest methods, but will likely keep your accounts safe, nothing implied however, lets chat for just a minute about the realities of a couple of unrecommended methods. 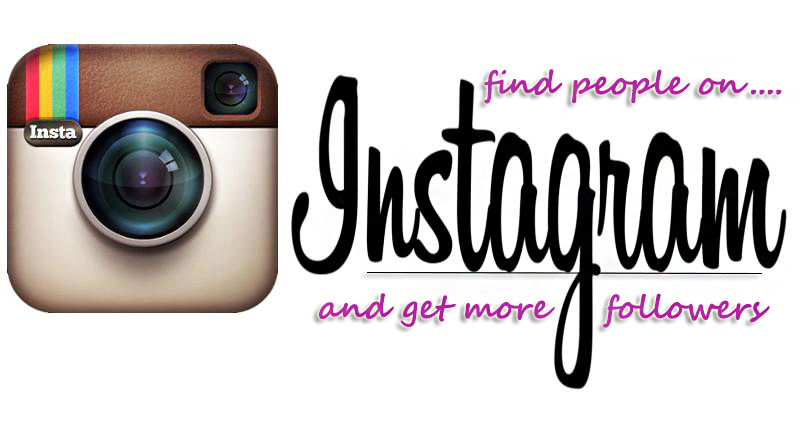 If you are solely focused on buying followers, yes, you can pay to get Instagram accounts. 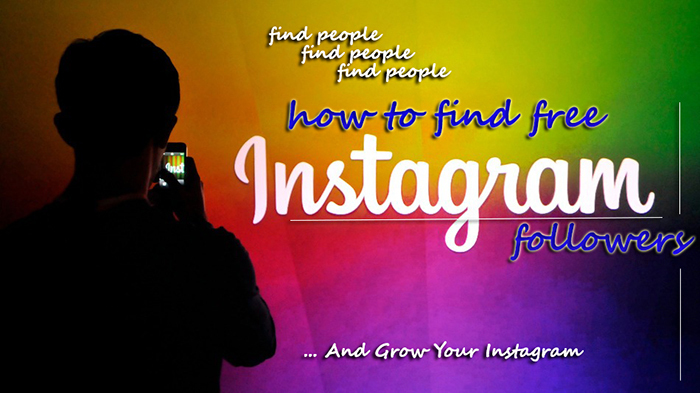 A simple Google search for paid Instagram accounts will yield results that will give you several options, however, such methods are not meant for your main account or an account that you care about. 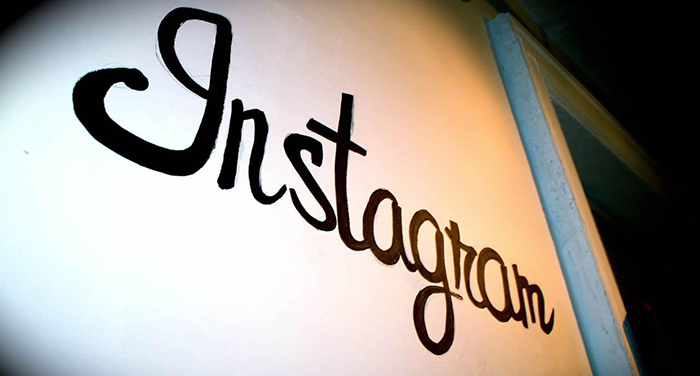 If you're looking to basically test out a service provider that will furnish you with loads of followers to see how Instagram will respond once the service has been provided on your account that is an option for you but again not something that I recommend, but ultimately it is your choice. Mention of buying followers again are communicated here as information and not as any form of recommendation. The other option that I will mention is going to Youtube and performing a search for get Instagram followers. You will find videos where you can download apps that focus on a coin system. This system involves setting up parasite or throwaway accounts to get coins that can be used in exchange for follows / followers. This builds up accounts very quickly but you have no way to filter who is on your account and again this will create a red flag on your account because of the rapid growth which will lead to premature closure/banning of that account by Instagram. Again this is communicated as information only and not any form of recommendation. I recommend slower and safe methods to build your Instagram account to get more followers and to find people as well as I've mentioned in this post.. all of which can be done freely and do build up your presence on Instagram over time. However the goals of your account may differ from someone else. So with that said, you have both my recommendations and options that I do not recommend as well. I hope you've found this post informational, helpful and insightful.